Released on: December 4th, 2018. 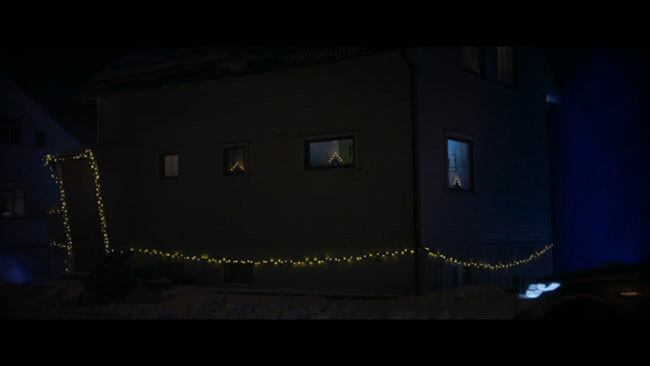 Known in its native Norway as Juleblod, which is much more fun to say than Christmas Blood, this 2017 low budget slasher film doesn’t really bring anything new to the killer Santa/Christmas horror genre but for less discerning viewers it’s a fine way to kill an hour-and-forty-five-minutes. The premise? A lunatic who dressed up as Santa Claus has been attacking the citizens of a small Norwegian town around the holidays for over a decade when two detectives finally manage to catch him and put him away, making the country safe for carolers and merrymakers of all shapes and sizes. Or so they hope. Of course, they’re wrong and he manages to escape not all that long after he’s brought in. Once on the loose, he goes back to his old ways and starts slicing up unlucky Norwegians left, right and center just in time for a group of friends to get together for a Christmas celebration in the general vicinity that he’s escaped to. Christmas Blood is about twenty-minutes too long and in obvious need of some originality. It borrows from Black Christmas and Silent Night, Deadly Night to name only a few and it comes off as fairly generic. We’ve seen a lot of this before and we’ve seen it done better than it’s being done here. 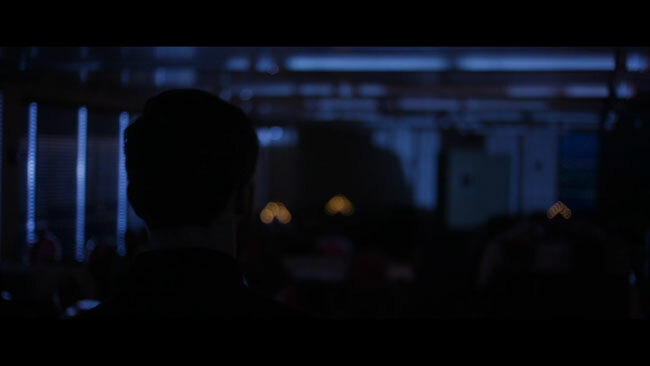 That said, the movie has a few scenes of effective tension and despite having been made without the advantages offered by a huge budget, it’s nicely shot… so long as you don’t mind your movie being almost entirely shrouded in darkness. Benjamin Mosli’s cinematography is polished, his compositions are very good, but this is a very dark movie. Traditional Christmas decorations and attire provide some nice visual contrast here but half the time the movie is just too murky looking. The movie also falls prey to a few slasher movie clichés – underdeveloped characters do illogical things and basically walk right into one murder set piece after the next. Logic is often thrown aside in favor of carnage, which is fine as the carnage is rather impressive in the picture. The movie also has a solid ending, even if getting there isn’t as much fun as the eventual pay off. A new Christmas classic? Nope! But you’ve definitely seen worse. So too have you seen better. 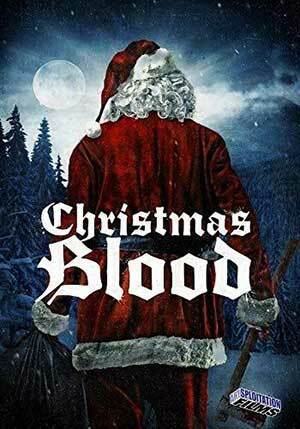 Christmas Blood arrives on DVD from Artsploitation Films in an anamorphic widescreen transfer framed at 2.35.1 and looking fine in the brighter scenes but muddying up detail in the darker ones. Some minor compression artifacts are visible but as this was shot digitally the image is pristine, no print damage or grain to discuss. Colors generally fare well but minor crush hurts things a bit. Still, this is a more than watchable presentation. 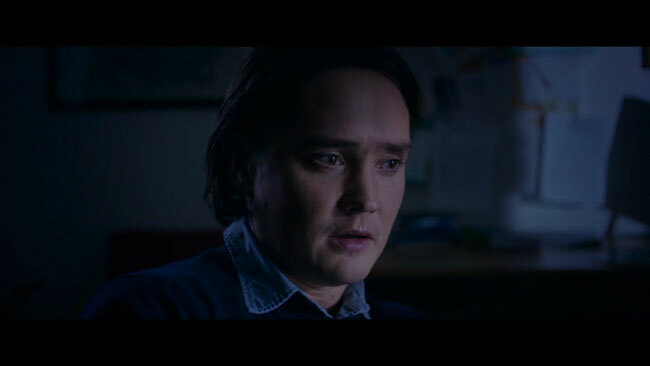 Norwegian language tracks (actually, to be concise, there are occasional bits spoken in English) are provided in Dolby Digital 5.1 Surround Sound and 2.0 Stereo with optional subtitles offered up in English only. The 5.1 mix is the way to go if you have a surround sound set up as it spices up some of the more active scenes with some nice moments of inspired channel separation. Levels are balanced and the track is free of any hiss or distortion. The subtitles are clean, clear and easy to read. Aside from menus and chapter selection, the only extra on the disc is a theatrical trailer for the picture. 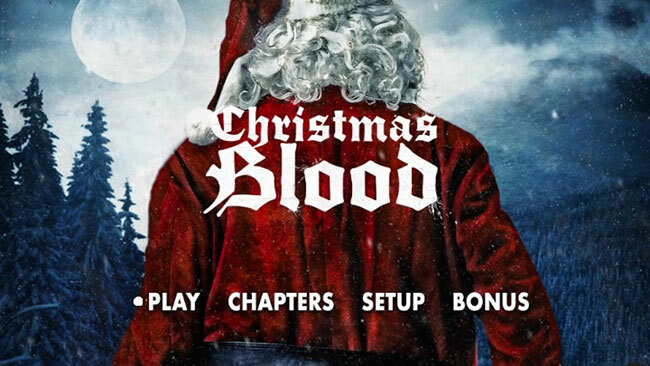 Christmas Blood has its moments but it’s far from a great film. Some good kill scenes and a strong finish help to forgive some pacing and the film’s unnecessarily dark visuals, making this worth a look for fans of low budget slasher fans, particularly those with an affinity for holiday-themed horror – but do keep your expectations in check.